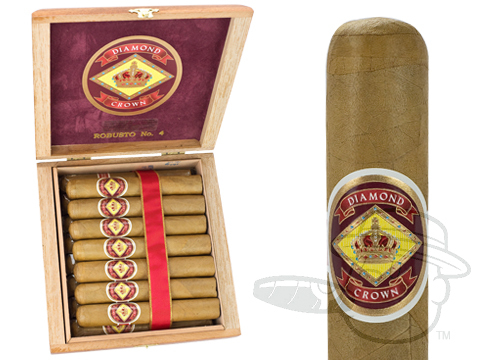 Diamond Crown #4 brings you smooth, woody, nutty, and creamy flavor in a 5 1/2 x 54 Robusto Grande vitola. I have experimented and ordered many samplers trying to find the smoke that's right for me. I was introduced to Diamond Crown several months ago and I feel I found what I had been searching for. The small increase in price for this premium cigar is definitely worth the investment. One of my favorite cigars! Taste and burns great! Diamond Crown #4 is rated 4.8 out of 5 based on 6 customer ratings.